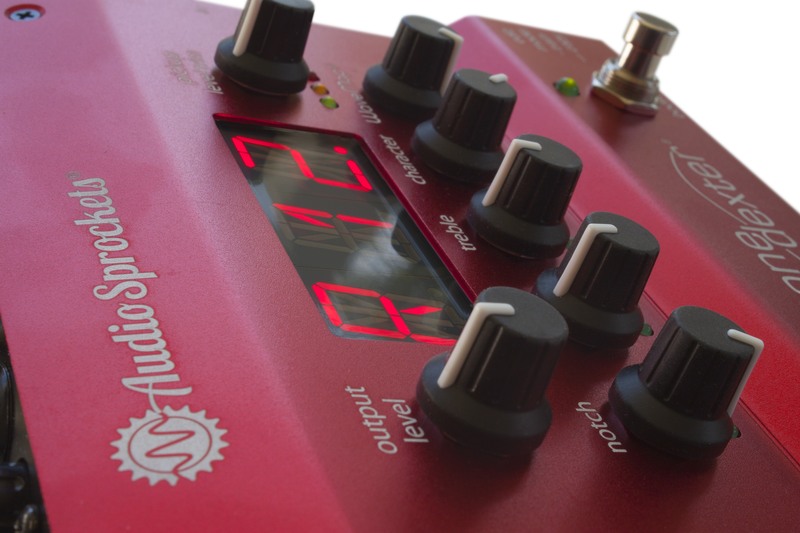 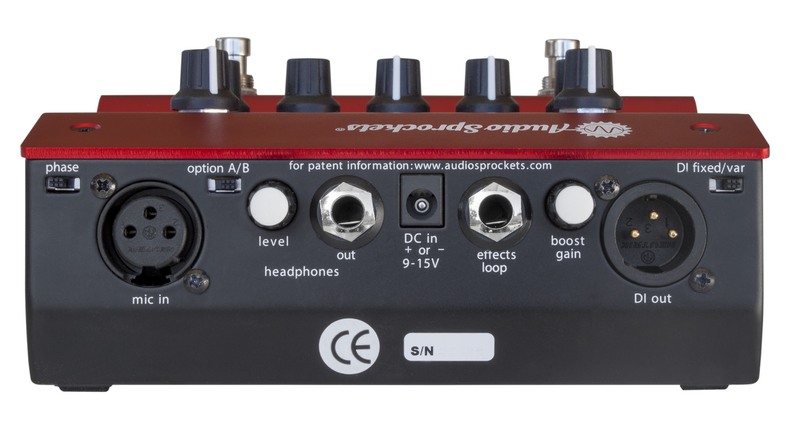 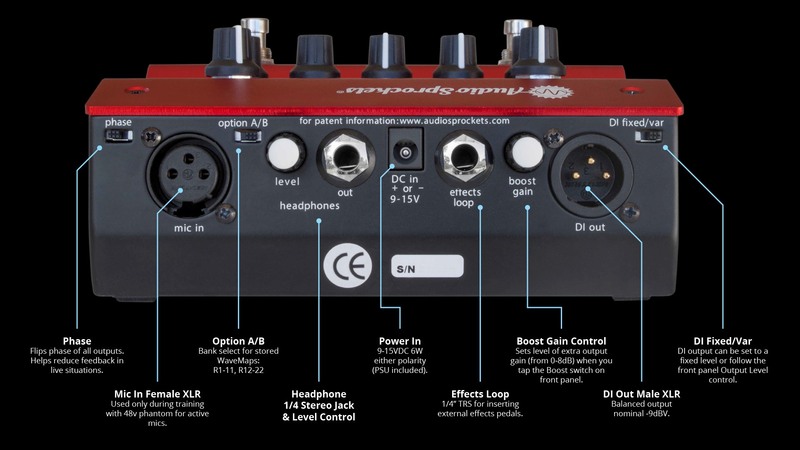 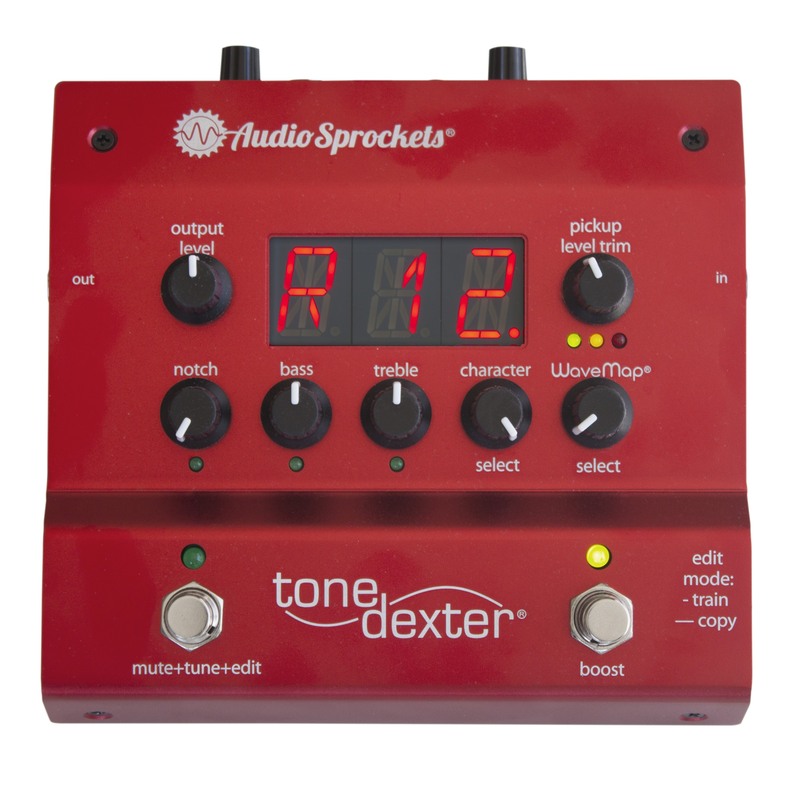 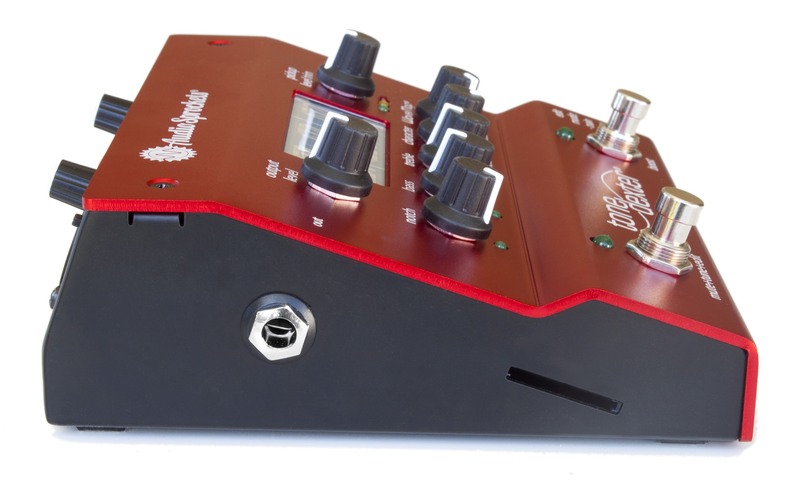 Audio Sprockets ToneDexter Pedal > Audio Sprockets > Diffusion Audio Inc.
Audiosprockets has worked hard to engineer it with for best possible sound, professional features, ease of use, and maximum affordability. 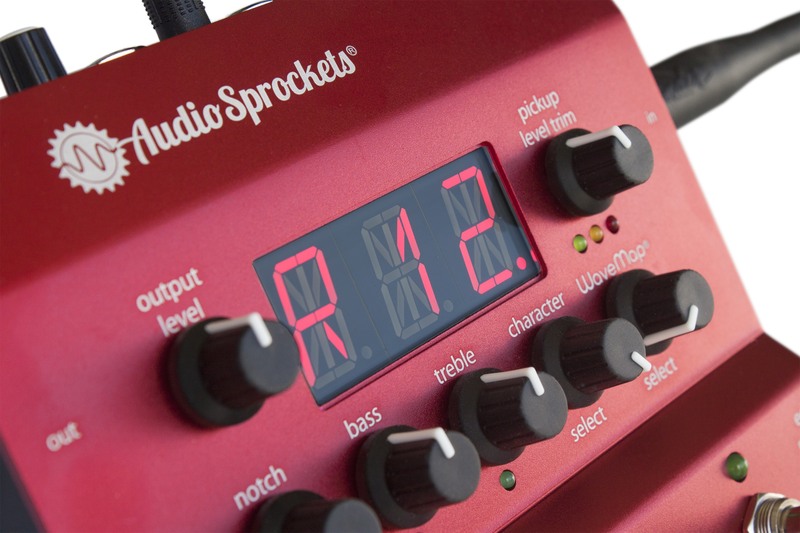 They believe they’ve accomplished their mission, as do scores of professional and amateur users. 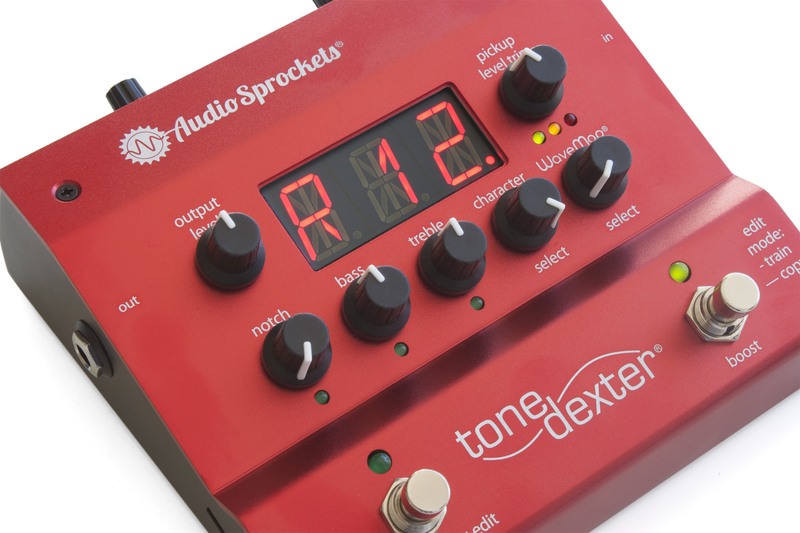 ToneDexters are shipping and the excitement continues to build! 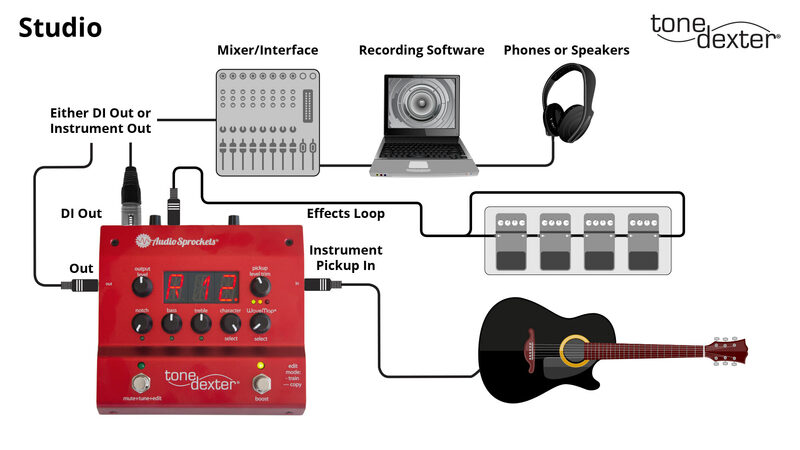 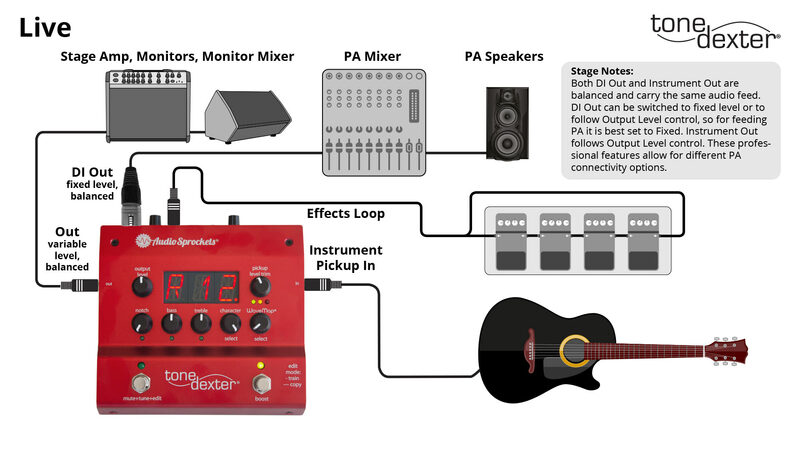 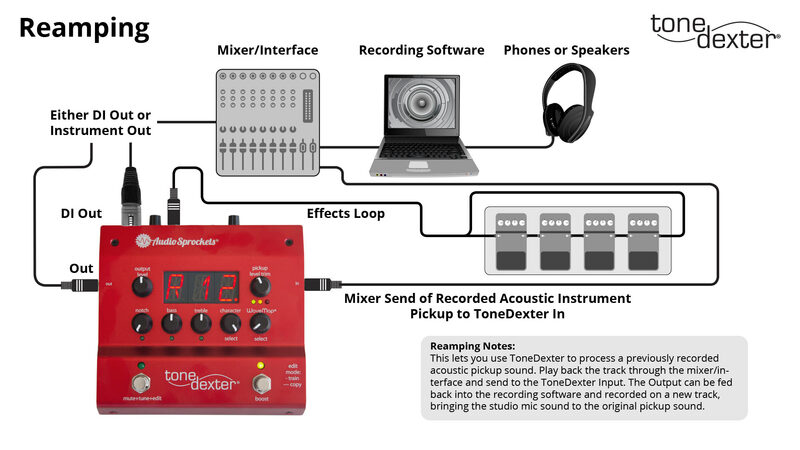 When you first get your ToneDexter, you do a one-time training session with both a mic and the pickup plugged into ToneDexter. 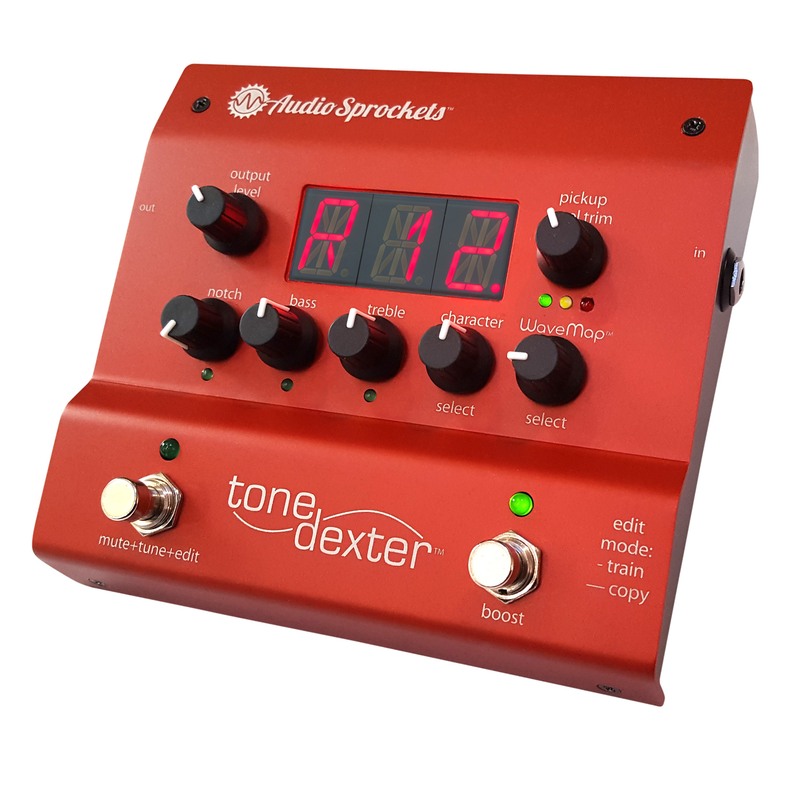 This way, ToneDexter can listen to both signals simultaneously and learn the difference between the two. By playing for about a minute, ToneDexter figures out how to simultaneously correct for the pickup’s deficiencies andrestore the missing body tone to the pickup signal, and creates the WaveMap. 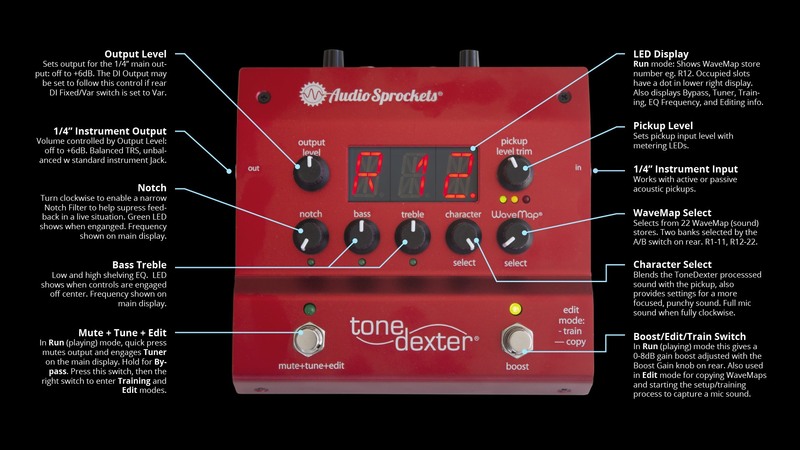 With a simple press of a button, ToneDexter stores that WaveMap in one of the eleven available preset locations. 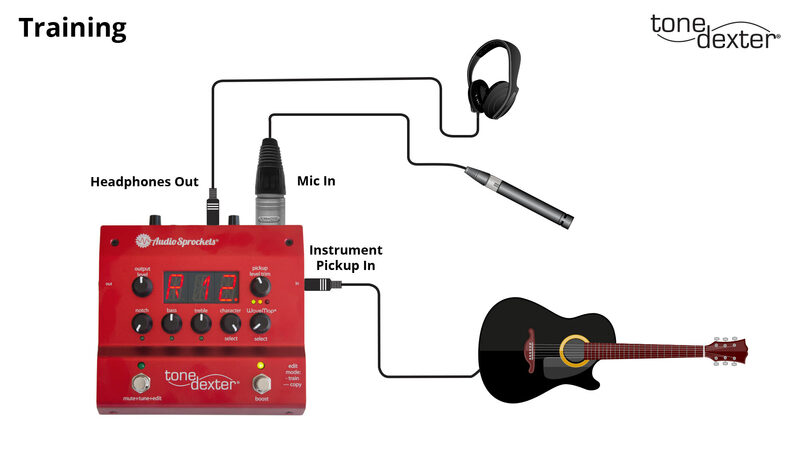 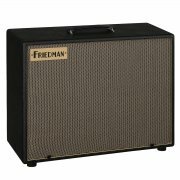 You can then put the microphone away and enjoy beautiful, lifelike sounds from your guitar, violin, mandolin, or other acoustic instrument.